Address: No.19, Jalan TPP 1/1A, Taman Industri Puchong, Batu 12,Jalan Puchong, 47100 Puchong, Selangor, Malaysia. Description: •Looking for oversea importer/ distributor/ agent for our products. •Founded and established by Mr. Teh Jui Kern in August 1999. •Moved in to our current office in August 2005. •Warehouse capacity 58,000 sq.ft and 2,500 pallets capacity . •Nearly 100 employees in total. •Our vision is to be known as the world’s leading provider of Market Expansion Services with a focus on Asia. 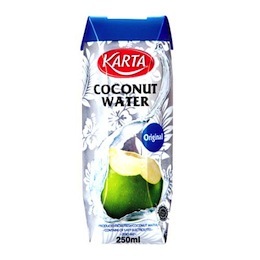 •KMM is a market leader in coconut cream category and growing steadily as an efficient distributor for FMCG food and non-food products in Malaysia. •Clients network extend across the region including China, Singapore, Indonesia, Thailand, Brunei, and Bangladesh. •We offer wide range of coconut-related products, herbs, jamu (herbal medicine), bread spread, non-dairy creamer, snacks, seasoning, pineapple juice, seafood, canned food, and sport drinks.